Featured below are 6 issues of "slick" and "book-paper" magazines from well-known pulp magazine publishers of the pre-1920 period. They include The Red Book, Everybody's, Smith's, Young's, Munsey's, and The Smart Set. Publishers represented here are Story-Press, Ridgway, Street & Smith, C.H. Young, Frank Munsey, and Pro-Distributors. Information to the right includes date of establishment, publishing company, 1-2 major editors, and total number of issues published. 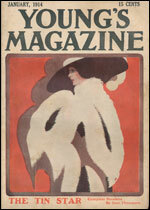 Issues of McClure's Magazine (July 1897), The Black Cat (December 1899), The Saturday Evening Post (August 18, 1906), Harper's Magazine (September 1910), Scribner's Magazine (March 1914), and Collier's Weekly (June 14, 1919) are included for comparison. For R.D. Mullen's "From Standard Magazines to Pulps and Big Slicks," click here. 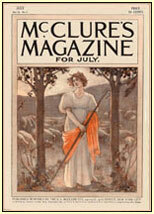 McClure's Magazine | Established in 1893 | S.S. McClure | Edited by S.S. McClure (1893-1913) | Total Issues: +/- 444. The Black Cat | Established in 1895 | Shortstory Publishing Co. | Edited by Herman D. Umbstaetter | Total Issues: +/- 316. 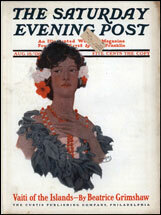 The Saturday Evening Post | Est. in 1821 | Cyrus Curtis | Ed. by George Horace Lorimer (1899-1936) | Total Issues: Cont. 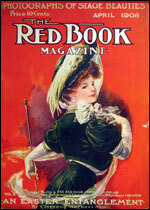 The Red Book Magazine | Established in 1903 | Story-Press | Ed. by Edwin Balmer (1929-49) | Total Issues: Cont. 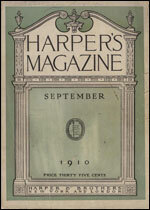 Harper's Magazine | Established in 1850 | Harper Bros. | Ed. by Henry Mills Alden (1869-1919) | Total Issues: Cont. 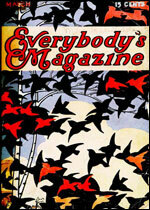 Everybody's Magazine | Established in 1899 | Ridgway Co. | Ed. by Trumbull White (1912-15) | Total Issues: 355. 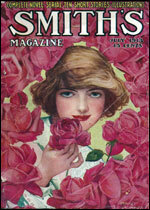 Smith's Magazine | Established in 1905 | Street & Smith | Ed. by Theodore Dreiser | Total Issues: 203. 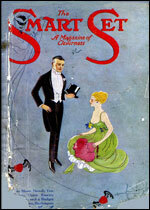 Young's Magazine | Established in 1897 | C.H. Young | Ed. by Cashel St. John Pomeroy | Total Issues: 368. 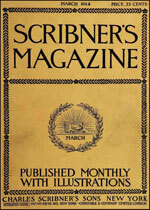 Scribner's Magazine | Est. in 1887 | Charles Scribner's Sons | Ed. by Edward L. Burlingame (1887-1914) | Total Issues: 617. 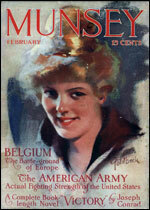 Munsey's Magazine | Established in 1889 | Frank Munsey Co. | Ed. by Robert H. Davis | Total Issues: 590. 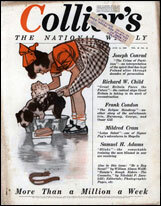 Collier's Weekly | Established in 1888 | P.F. Collier & Son | Ed. by Norman Hapgood | Total Issues: Cont. The Smart Set | Established in 1900 | Pro-Distributors | Ed. by H.L. Mencken and George Jean Nathan | Total Issues: 365.